Aristotle was right. Water, along with earth, air and fire, is one of the primary elements upon which life depends. Water is essential for our homes, our businesses, and our farms. Water also is the great elixir that sustains fish, wildlife and the natural world. Restore Hetch Hetchy recognizes that protection and restoration of streams and wetlands won't be possible unless human needs are also met. So we are naturally concerned with continuing to meet the water needs of San Francisco and all communities that depend on the Tuolumne River. In our case, the challenge is primarily to improve the amount of water available in drought years. But elsewhere in California, water quality is the primary concern. There are communities, especially in the San Joaquin and Salinas Valleys, where the inappropriate or over-application of fertilizers and pesticides has contaminated groundwater supplies. 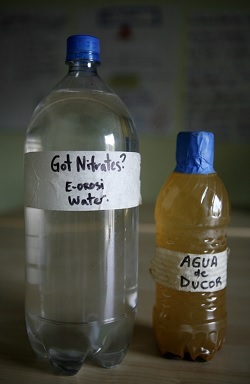 People are often forced to buy bottled water to wash, cook and drink. It's a disgrace that towns in California's agricultural heartland, often populated by low-income farmworkers, do not have safe drinking water. The solutions aren't simple. There is, as they say, no silver bullet. Sometimes, new wells need to be drilled. Sometimes supplies can be cleaned up. Sometimes, communities can connect to cleaner surface water systems. These needed improvements cost money. In most cases, the polluters are either difficult to trace or long gone. 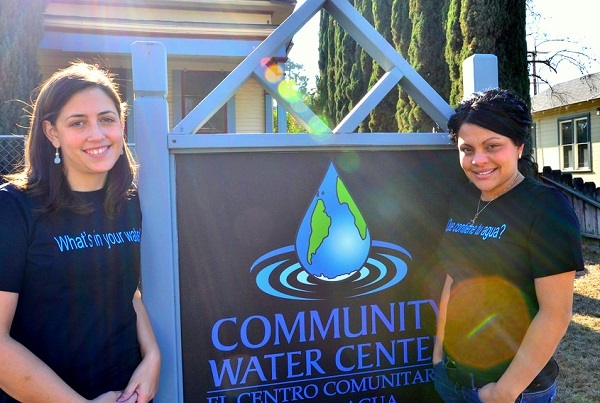 Ten years ago, attorney Laurel Firestone and community organizer Susana De Anda created the Community Water Center (CWC) to help these towns get access to clean water. The Community Water Center acts as a catalyst for community-driven water solutions through organizing, education, and advocacy in California's San Joaquin Valley. They have made progress locally, but still have far to go. In 2012, CWC opened an office in Sacramento from which they and their partners have successfully targeted half a billion dollars in Proposition 1 Water Bond funding to low-income communities without safe water. On February 16, as a result of their advocacy alongside community leaders and other advocacy organizations, the State Water Board adopted a resolution supporting the "Human Right to Water". Our hats are off to the committed staff and volunteers at the Community Water Center. We were pleased to support their Water Justice Awards last week. There remains a lot to be done in California to improve water management so everybody has access to the water they need. As we work on the challenge of returning all of Yosemite to the American people, it's good to know that the Community Water Center and their partners are doing this vitally important work.